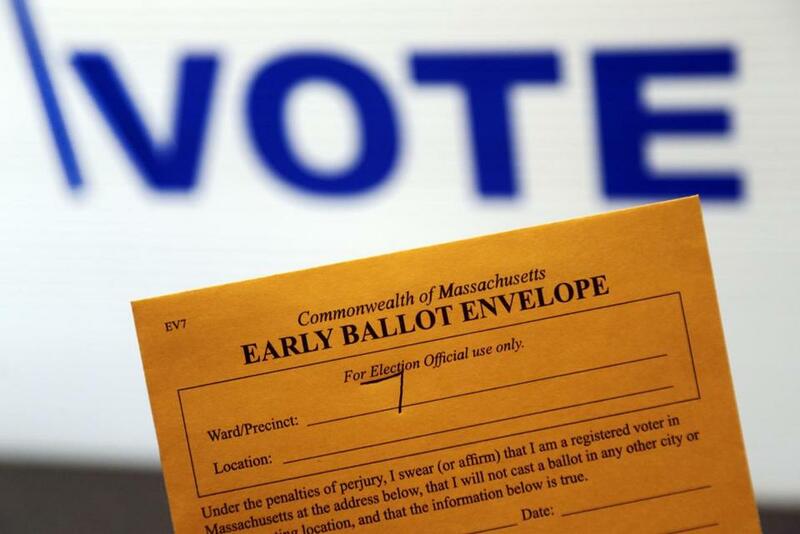 An early ballot envelope was held at town hall in North Andover last week. High stakes battles to legalize marijuana and expand charter schools have sparked a tsunami of spending on Massachusetts ballot-question campaigns, much of it from out of state, already eclipsing the record-breaking $30.2 million spent in 2014 — by close to 70 percent. The campaigns for and against the four referendum questions facing voters on Nov. 8 have generated just short of $50 million in contributions so far this year, according to the most recent public filings. That amount is expected to rise between now and the election, and almost all of it will likely be spent. The historic fund-raising tally has alarmed those eager to tame the influence of big money on state politics, especially on the initiative petition process, which was designed to allow Massachusetts voters a strong voice in policy-making. Massachusetts residents will vote on measures to expand charter schools, legalize recreational marijuana, require that only cage-free eggs be sold in the state, and allow gambling regulators to approve an additional slots parlor. Should Mass. approve a new slots parlor? 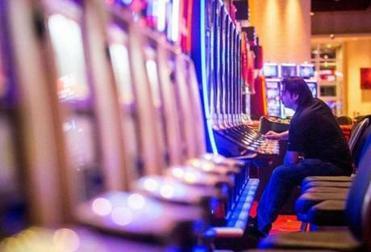 Voters are already being asked whether they want another slots parlor in Massachusetts. Read: Should Mass. lift the charter school cap? Read: Should Mass. require cage-free eggs? Read: Should Mass. legalize marijuana? The fight over charter schools alone has alone broken the record. Drawing in large part on huge donations from wealthy out-of-state hedge fund managers and billionaires, backers have already raised $21 million. Opponents, mainly teachers’ unions, have collected more than $12 million. Those records also show that nearly $6.3 million has been raised to support the measure to legalize marijuana, almost all of it coming from the New Approach PAC, which operates out of Washington, D.C.
With that sort cash flooding into the campaigns, voters are now barraged with television and radio ads and mailings that offer conflicting facts, figures, and arguments on emotional and complex policy issues. Those advertisements are produced for organizations with names so bland and wholesome-sounding that viewers might not appreciate who they are: the Horse Racing Jobs and Education Committee (pro-slots casino), the Campaign for a Safe and Healthy Massachusetts (anti-marijuana). Of course, some groups leave no question about their target audience — for instance, the Advancing Obama’s Legacy on Charter Schools Ballot Committee. While final figures won’t be out until a few days before the election, the surge in fund-raising is the result of a set of new campaign finance rules, set loose by a 2010 US Supreme Court ruling that allowed wealthy donors to contribute millions of dollars to such campaigns, much of it shielded from public scrutiny. In that case, Citizens United vs Federal Election Commission, the court upended Watergate-era policies of campaign finance oversight, declaring that the First Amendment prohibited the government from restricting independent political spending by nonprofit corporations, for-profit corporations, labor unions, and other associations. The first significant impact of that decision in Massachusetts came two years ago when voters — after being bombarded by television ads and mass mailings — repealed an indexed gas tax while rejecting an expanded bottle bill and a ban on casino gambling. The $30.2 million spent on the pro and con campaigns was double the $16.1 million previous record for ballot question expenditures made in 1992. Maurice Cunningham, a UMass Boston political science professor, said the 2010 decision laid the groundwork for a series of interlocking and hard-to-trace organizations that bear public-spirited names, but are backed by the some wealthiest people in the country. “Citizens United has opened opportunities for wealthy individuals to influence politics and policies in ways that were inconceivable before,’’ he said. Cunningham argues that such spending flies in the face of the original intent of progressive political forces a century ago who created the state’s referenda system to allow people a direct say in creating or repealing laws. Former state senator Warren Tolman, who as a Democratic legislator pushed through campaign finance reform in the 1990s, echoed the concern of Cunningham and other reform advocates that the once-strict controls over political financing have largely been dismantled. “Now it’s flipped on its head to allow high-powered, moneyed interests to subvert the public interest,’’ said Tolman. Activists involved in the ballot campaigns, however, say they’re happy for the support to get their messages out. The pro-charter school campaign has been the most costly so far this year. Advocates for lifting the charter school cap have collected $21 million — plus $602,193 from in-kind donations. More than $13.5 million comes from a New York-based group, Families for Excellent Schools, which is chaired and vice-chaired by two financiers. The group has in the past been active in pushing for charter schools in New York City. Not all of the pro-charter funding is so-called dark money. For example, Walmart heir Jim Walton is listed as giving $1.25 million to a pro-charter Massachusetts political action committee, Campaign for Fair Access to Quality Public Schools. It reported last week it had raised $2.4 million so far this year and lists its donors with state campaign finance regulators. Charter school opponents — with big contributions from the teachers’ unions — report raising $12.5 million, and getting $899,998 from in-kind contributions from unions for staff and travel. In the marijuana campaign, the New Approach PAC is organized as a nonprofit organization, allowing it to limit its donor list to the top five. The group has been spending money in a handful of other states, but far less than in Massachusetts, according to the website Ballotpedia, which tracks campaign finance data. Those opposing the marijuana effort are far more transparent — and less flush with money. The Campaign for a Safe and Healthy Massachusetts has raised $2.8 million, bolstered by $1 million from billionaire casino mogul Sheldon Adelson, a Massachusetts native, and $850,000 announced Friday from the Archdiocese of Boston.